A few months ago we laid to rest Professor Steve Chimombo, one of the leading writers from Malawi, a man of exceptional talent, unwavering in his passion for the arts. His legendary life has been chronicled in journals, anthologies, and books of all kinds. 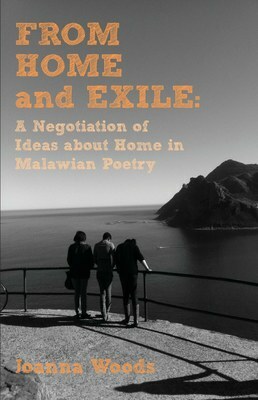 But no book captures his significance more than Joanna Woods’s From Home and Exile: A Negotiation of Ideas about Home in Malawian Poetry. Woods’s book explores the idea of home, asking such universal and vital questions as what is home? Where is home? Woods seeks to answer these questions by looking at the works and lives of five Malawian poets, including the late Steve Chimombo. How I wish the professor had read this book before his demise, maybe he did. She asserts, “While this book is about home, at the heart of it is Malawi and its poetry” (v). But what she does with this poetry in the next 200 plus pages is unusual. While admitting that “research into poetry from Malawi is largely shaped by exploration of the country’s politics,” she chooses to “make an attempt to position poetic analysis somewhere other than in a political remit” (v). This is a first in studies of Malawian poetry and makes the book unique in its approach. At least there is one who can look at Malawian poetry, in fact, African literature, outside its political undertones. From Home and Exile takes us through the poetry of Felix Mnthali, Frank Chipasula, Jack Mapanje, Lupenga Mphande, and of course Steve Chimombo, all of whom are considered legendary, not only in Malawi, but across Africa. What brings these poets together is the fact that all, except Steve Chimombo, were forced into exile by the dictatorial regime of Dr. Banda, and that most of them have remained in the diaspora until now: “all [the poets] express experiences of home as transformed and thought of through the lens of exile’s physical and psychological distance” and as a result, “they harbour some manifestation of the psychological dimension of exile” (4, 5). The book provides a good template with which to analyze the first generation of African writers, the likes of Ngugi wa Thiong’o, Chenjerai Hove, Chinua Achebe, Steve Biko and others who went through similar experiences of alienation from one’s home and who, just like these poets, have written extensively on the subject matter. Indirectly, From Home and Exile also adds a voice to the current debates on subjects such as Afropolitanism, Pan Africanism, and African identity as it asks the question, what is home? What is the essence of home? It resonates with Ngugi’s essay published in the Guardian, titled “Despite decades of exile, I still feel the pull of my homeland,” where he speaks of how he has never really felt at home in America despite being there for more than three decades with little hope of returning to his homeland in Kenya. But Woods also seems to suggest that home can be anywhere and nowhere at the same time. Home is both physical as well as psychological. Home has no form and is not definitive: “What is certain…is that home is ‘shot’ through with ambiguity” (21); “It might be thought of as one’s physical birthplace, a past, or as an imagined place, a future” (21); “Home is a permanent work in progress” (22); “Home and exile are bound to human life, to subjects and the self. And by extension to their creativities: their literary works” (41). By extensively quoting and drawing instructions from such writers as V.S Naipaul, Chinua Achebe, Ngugi wa Thiong’o, Chimamanda Adichie, V. Turner, A.W. Oliphant, Dambudzo Merechera, M. Mascuch, and A. Gutthy among others, the author makes this work not only relatable to Africa but also to the globe. One unfortunate omission in this book is that its analysis does not include any female poet. But the author defends herself by stating: “I am aware that the focus is solely on male perspectives and interpretations of Malawi as home. Any such female counterpart is notoriously difficult to find. While speaking of an all-encompassing Malawi then, a significant group is not considered”(6). And indeed, women occupy such vital positions in African societies that it is only proper to include them in such discussions. But, perhaps, this is a call for female writers in Malawi to write more and increase their presence in literature. From Home and Exile was published by Langaa Research and Publishing Common Initiative Group in Cameroon and can be purchased on Amazon and other sites. It is being distributed in and outside of North America by the African Books Collective. 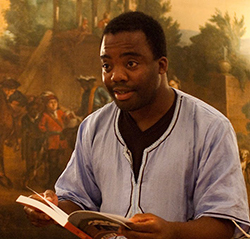 Shadreck Chikoti is a Malawian writer and social activist. He was listed by CNN as one of seven must-read African authors. He has won numerous literary awards and was recently nominated by the Africa39 project as one of the “most promising African writers under 40.” An excerpt from his futuristic satire, Azotus the Kingdom, was published in the Africa39 project anthology in October 2014. Chikoti’s work has also appeared in the Caine Prize anthology To See the Mountain and Other Stories (2011). He lives in Malawi with his wife and children.